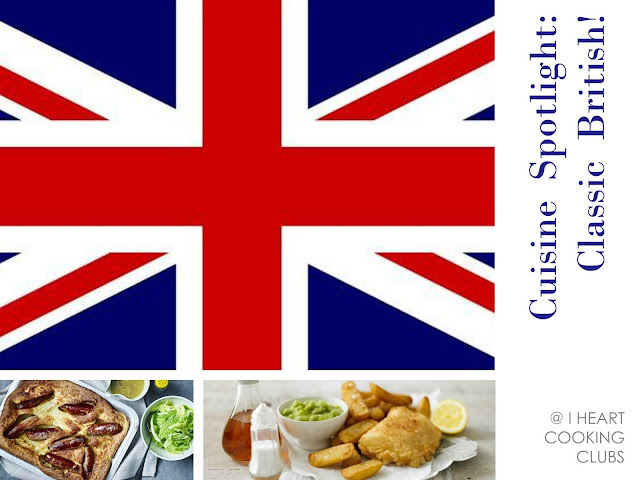 Fish and Chips, Bangers and Mash, and Shepherd's Pie come to mind when I think about Classic British food. Of course, you have to have your tea, scones, crumpets, and you might delight in some Sticky Toffee Pudding or a trifle or two. I'd really like to enjoy a good Toad In The Hole one day, but for now, I'll stick with a good old-fashioned Shepherd's Pie. A true comfort food classic. Shepherd's Pie is one of the most popular British dishes. Nigel Slater's version is rustic and simple. A handful of ingredients and very loosely written instructions. Very loose. I will tell you that ground lamb is the most important ingredient in a Shepherd's Pie. If you use ground beef, you're making a Cottage Pie. Equally delicious, no doubt, but a different name altogether. So, Nigel's Shepherd's Pie. His instructions are vague at best, but you really can't go wrong here. You are essentially flavoring ground lamb and covering it with mashed potatoes. Don't overthink it. I've included a blow by blow of how I made mine down below. Saying that, I think this dish would turn out slightly different each time you make it. Depends on the seasoning you use, depends on the veg you use, depends on whether you top it with cheese. I will say this. I didn't feel like a long cooking project before I started this and while it took time, it was certainly not tedious, or labor-intensive, or difficult. The steps were simple and the tasks are easy. However, the payoff is huge and for that reason, this dish is really a cook's best friend. Not to mention, the aromas are heavenly and the dish is soul soothing and hits all the right notes of a comfort food pleaser. Don't hesitate to make this! The Recipe: Boil and mash 1kg of big, floury potatoes, adding a thick slice of butter as you mash. Soften 2 onions, peeled and chopped in a little butter. (You can add a few diced carrots and celery at this point.) When they are golden, add 600g minced lamb, letting it brown thoroughly. Now add your salt, pepper and thyme and a shake or two of Worcestershire Sauce, and about 350ml of stock. Let the mixture simmer gently for 30 minutes. Tip the lamb into a shallow baking dish, top with the mash, dot with a little butter and bake for 35-40 minutes in a hot oven till the surface is crisp. The Trick: Nicely browned onions, a few leaves of thyme and maybe a shake of the Worcestershire Sauce is all you need. Whether you are using minced or cooked lamb, it should be neither too small nor too large. Let the mince cook for a good 30 minutes, if not longer. The crust must be crisp on top so either pull a fork across its surface to create "furrows" or pile it up into clouds with a spoon. What I did: I gathered enough russet potatoes to equal 2 cups mashed potatoes. I peeled them and cut them into cubes and boiled them around 20 minutes until they were tender enough to mash. I added about 4 tablespoons of butter and a splash or two of milk (the potatoes were too stiff without the milk). Two onions seemed like A LOT of onion so I opted to dice 1 onion, 1 stalk of celery (plus the leaves), and 1/2 half of a very large carrot. I cooked the onion, celery, and veg in about 2 tablespoons of butter for about 10 minutes until the onions became golden. Then I added 1 pound of ground lamb. My lamb was on the fatty side and after it cooked I had to drain some oil out of the pan. Then I added three shakes of Worcestershire Sauce, a sprig of thyme, salt, pepper, and 1-1/2 cups of beef stock. I stirred it to mix and then allowed it to simmer and thicken for 30 minutes. When the time was up I piled the lamb mixture into a 10" cast iron skillet, topped it with the mashed potatoes, created "furrows" with the back of a spoon, and brushed the top with 2 tablespoons of melted butter so that I could ensure a golden brown crisp buttery crust. I baked the pie in a 350F oven for 35-40 minutes, although I will tell you that I would check it starting at 25 minutes because ovens vary. Allow to cool briefly and serve, straight away!